Paula Rutherford and Beth Weitzel are nurses who were teaching at MCC in the early 80’s and saw the need for better end of life care. They initiated a steering committee with many disciplines represented and from this group Iowa River Hospice was established. In 1982 President Reagan signed the Hospice Medicare legislation into law. 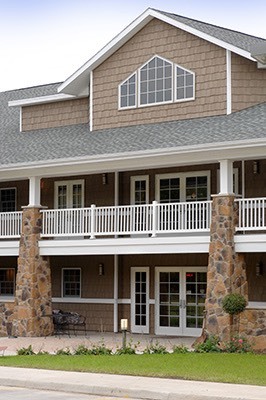 Iowa River Hospice was incorporated on January 28th 1983 and was soon serving the Marshall, Tama, Southern Hardin and Grundy Counties. Paula and Beth wisely saw the need for hospice care and defined our service area as a 50 mile radius from Marshalltown. 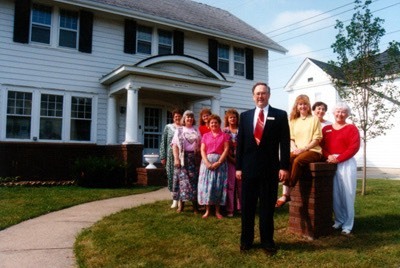 Several moves throughout the years brought Iowa River Hospice to 206 West Church Street in 1994. We were able to purchase this home office with the generosity of many in the community. At that time and for many years it was thought this would be our ‘permanent home’. In 2001 with a large gift from Mid Lander’s estate and her vision for an inpatient Hospice Home in her community the probability for a Hospice Home and the ability to expand our services looked promising. Thus a new chapter had begun for Iowa River Hospice. We have grown from a shoe box under Beth Weitzel’s bed to the beautiful offices and Hospice Home at 502 Plaza Heights Road. 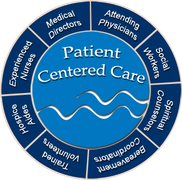 The goal was and still is to compassionately serve patients and their families when curative care is no longer an option. It is truly an honor to serve our patients and families.